I’ll be turning sixty in a few weeks, something a fellow can only take so much credit for. And even if I do have little say in the matter, I feel blessed to glance in the rearview mirror and find that almost everything in my life looks better in retrospect. Time and memory have a way of doing that, don’t they? Together, they season our long ago days with sweetness, soften the hard edges of regret, and tease out a deep appreciation for the things we used to take for granted. I suppose that’s why, in my mind, dad’s fruit pies will always taste better than my own, and my mom’s stews live on without peer. Why the tomatoes of my New Jersey youth were meatier and more succulent than any I can find today. And the fresh corn sweeter and more plump. Back in the kitchen, it’s a chore competing with a memory that glorifies the past. Maybe that’s why I get so excited when a dish really does measure up and takes me back home, in a manner of speaking, to a time when everything tasted so darn good. If you’re a southerner and you know spoonbread, you will find some similarities, notably the step where we simmer cornmeal and milk to make a slurry or sauce called a rick. It’s a simple but important thing because it gives this pie its unique creamy-but-compact texture. But the real hero of this savory pie is the fresh corn kernels, which – promise me, please – you will dutifully cut from fat, sweet, just-picked ears you find at a local farm stand. There is no substitute without serious repercussions to the overall wonderfulness of this dinner pie. 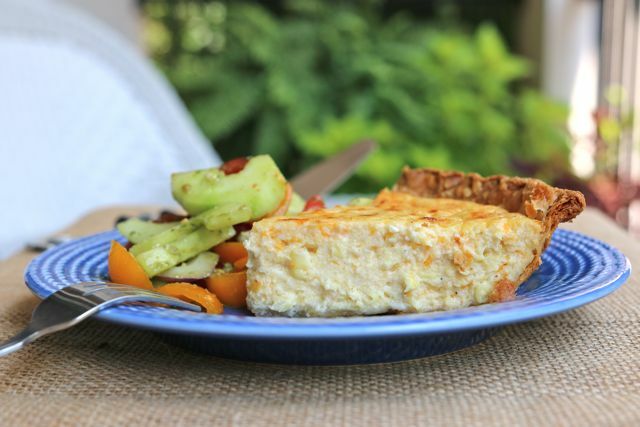 What to serve with our corn pie? A big salad is the thing, any salad that makes the most of the moment. For me, that means peeled, seeded, and sliced cukes mixed with halved cherry tomatoes and some thinly sliced red onion. Dress it all with a mustardy vinaigrette and a healthy slug of pesto, and heaven awaits. 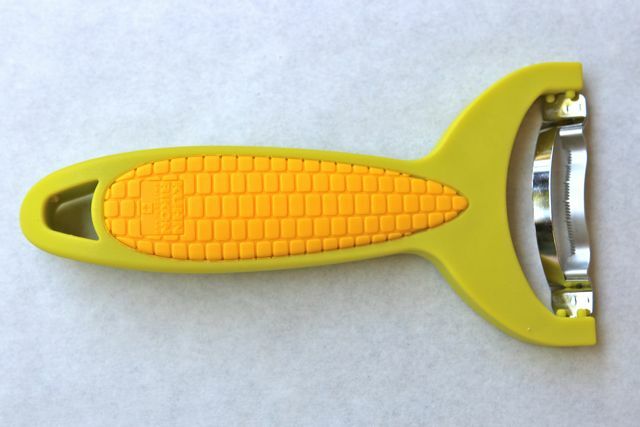 And while we’re on the subject of fresh cut corn, I want to tell you about a clever kernel cutting gizmo I’ve fallen for lately. It’s called the Corn Zipper, made by Kuhn Rikon, and it makes corn kernel removal easier than you ever imagined. Watch it in action in the video above. Kuhn Rikon has generously set aside three Corn Zippers for Pie Academy members. Here’s how you can win one. All you have to do is go over to our just launched, new and improved Pie Academy online store, and have a look around. We’ve got some great items, including bakeware, our new branded apron and rolling pin, and other cool stuff pie makers like you will really dig. You don’t have to purchase anything to enter the drawing. But we would like some feedback from you, telling us what sorts of useful, interesting, or otherwise noteworthy products you’d like to see in our store in the future. We’ll be adding new items on a regular basis, so your input will help us greatly. Everyone who emails us their feedback and ideas by August 14th will go into the drawing. Then we’ll choose three names at random and announce the winners next week. Cool, huh? You can email us by clicking on the Contact tab at The Pie Academy. 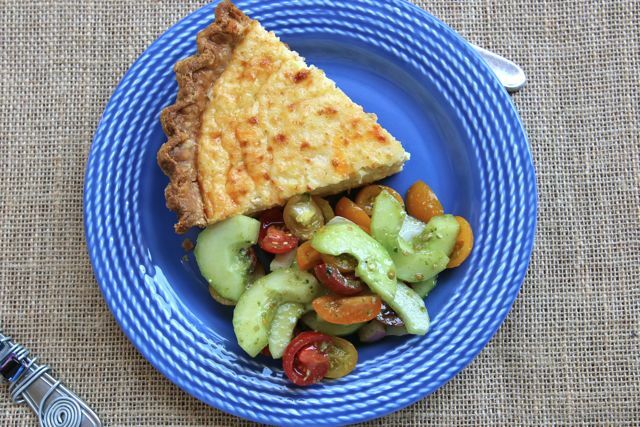 Incidentally, Kuhn Rikon has graciously accepted our invitation to be one of the corporate sponsors of our Lowcountry Pie Getaway this coming October. And that’s good news for you, if you’re attending: more swag in your swag bag! A Toast to Savannah: Our Lowcountry Pie Getaway Destination Just Named Second Friendliest City in the U.S. Apparently, all of our carrying on about Savannah, Georgia – the hostess city for our October 2014 Lowcountry Pie Getaway – being such a warm and friendly place isn’t just in our imagination. At least, not if you believe the readers of Conde Nast Traveler, who just voted Savannah the second most friendly city in the United States, edging out such amiable A-listers as San Antonio, Fort Worth, Telluride, and New Orleans. Of course, this comes as no surprise to us here at The Pie Academy. The friendly factor is one of big reasons we chose Savannah, and it’s why – in addition to lots of hands on pie making and instruction tailored just for you – we’ve built in plenty of time for y’all to visit the sites and soak up all the friendliness this hospitable town has to offer. We still have a few spots left if you care to join us for this one-of-a-kind event. 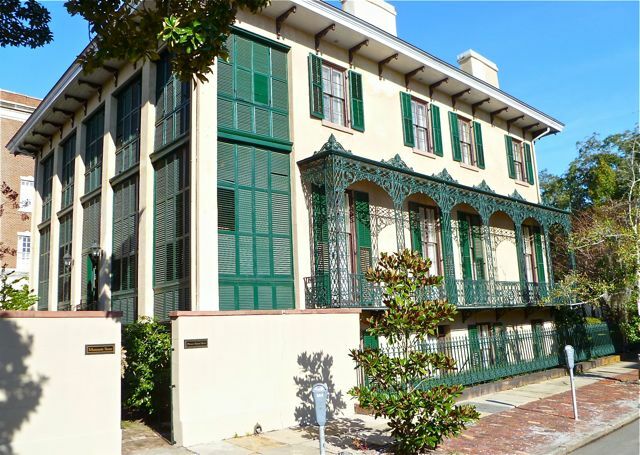 (We’ve rented out an entire historic inn, and it just wouldn’t be the same without you.) Just send an email to bev@thepieacademy.com and we’ll send you a registration form and answer any questions you might have. Oh, and by the way, Charleston, South Carolina – just up the road from us in the other direction – was voted the #1 friendliest city. That’s no surprise, either, and a shoe-in for a future Pie Academy Pie Getaway. 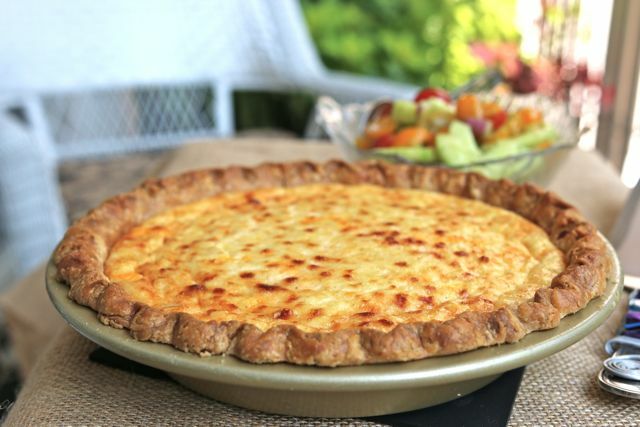 THREE-GRAIN BUTTER CRUST – If using this one, you’ll only need half of the recipe. If you haven't already, prepare the pastry and refrigerate it for at least 1 1/2 to 2 hours. On a sheet of lightly floured wax paper, roll the dough into a 13- to 13 1/2-inch circle. Invert the pastry over a 9 1/2-inch deep-dish pie pan, center it, then peel off the paper. Gently tuck the pastry into the pan without stretching it, then sculpt the edge into an upstanding ridge. Flute the edge, if desired. Refrigerate the shell for 1 hour. Adjust your oven rack so it is one position above the lowest setting. At the end of the hour, preheat the oven to 375°. Using a fork, poke the bottom of the cold shell 6 or 7 times, wiggling the fork slightly from side to side to enlarge the holes. Tear off a sheet of aluminum foil about 16 inches long. Press the foil into the shell so it fits like a glove. Add enough dried beans to the foil to fill the shell by about two-thirds; bank the beans up the sides. Bake the shell for 20 minutes. Carefully remove the foil and beans - you should be able to lift them out by grasping the foil on opposite sides - and bake the shell another 5 to 7 minutes, until the edge is barely starting to turn light golden. Transfer to a rack and cool. Combine the milk and cornmeal in a small saucepan over medium heat. Gradually bring to a gentle simmer, whisking constantly for about 4 to 6 minutes, until the mixture thickens to a heavy cream-like consistency. Don't let it boil. Pour the mixture into a large bowl. Whisk in 2 tablespoons of the butter (in several pieces), sugar, salt, pepper, and mustard. Set aside. Melt the remaining 2 tablespoons butter in a medium skillet. Add the onion and corn and saute for 6 to 7 minutes over moderate heat, until the corn is cooked. Remove from the heat and set aside to cool for several minutes. Stir the corn saute into the milk and cornmeal mixture. Whisk in the cottage cheese, then the eggs. Stir in the Cheddar cheese and chilies, if using. Pour the filling into the partially prebaked shell. Sprinkle the Parmesan cheese over the top, if using. Place the pie on the lower rack, as you did with the shell, and turn the heat down to 350°. Bake for 25 minutes, then move the pie up to the center rack and bake another 15 to 20 minutes - a total of 40 to 45 minutes. When done, the pie will be puffed up around the edge, a little less so in the center. The center should no longer be loose or soupy. If the pie hasn't browned and you want a little browning, run it under the broiler for a few seconds right at the end, a safe distance from the heat, but watch it like a hawk. You don't want to scorch the top of the pie or the edge of the pastry; you just want some golden highlights on the surface. Transfer to a rack and cool for at least 15 minutes before serving. Makes 8 to 10 servings.